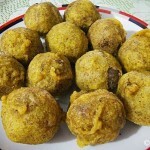 Pol Sambola is one of the must try foods in Sri Lanka. 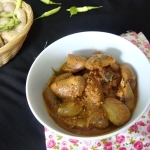 It is spicy but well goes with many of Sri Lankan food. 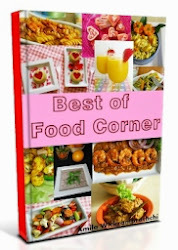 Actually it is a coconut relish prepared with chili and onion which is really easy to make in a modern kitchen. Just add everything in to an electric blender & grind till smooth! 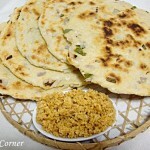 But, still,I like the traditional style of preparing of Pol Sambola. Even in a modern Sri Lankan kitchen, we have most of Sri Lankan traditional cooking equipment such as Grinding stone and mortar & Pestle. Scraping coconut is one of the most boring tasks for me in the kitchen. But this is the thing my amma or even a relative asked me if I tried to give a helping hand when they were cooking. Now I don’t face that problem as I can buy fresh grated coconut here in Singapore. 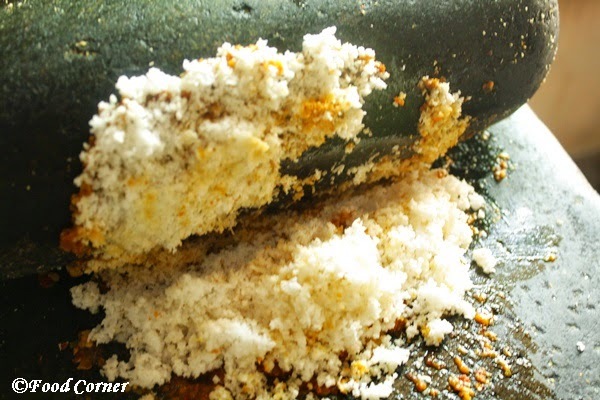 Without any doubt, foods are delicious when we use freshly grated coconut. Specially, this pol sambola! That’s why I thought of sharing the traditional way though I have shared this pol sambola recipe earlier. 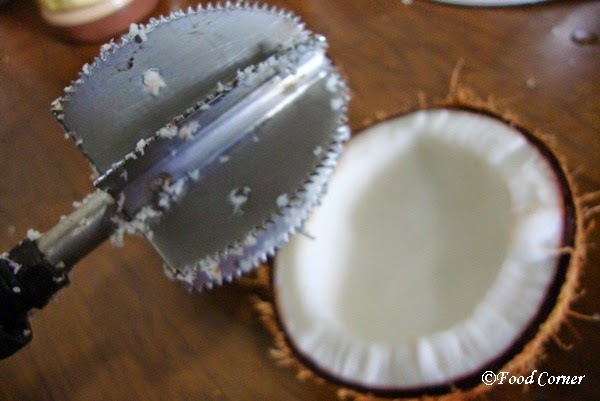 The method of preparing is really easy unless you are lazy to scrape coconut same as me. Ok,I don’t have a photo of a coconut with the skin.Most of Sri Lankans have their own coconut trees. 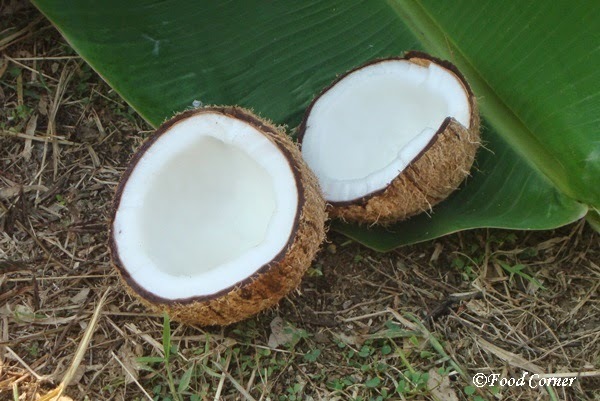 (mostly not in the city area).If we own coconut,first we have to remove the skin which is bit risky task.I really cannot or I never tried it! 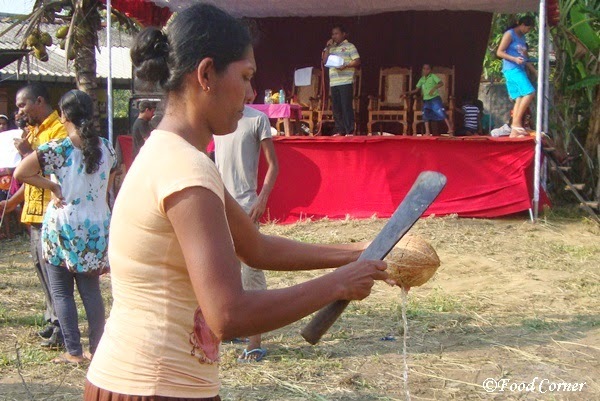 Then brake the coconut into two.Yes,I can do this!Use a heavy knife and give few strokes to the middle of the coconut using the back of the knife!Oh!,I like to drink the water inside, don’t you? Then we need to scrape the coconut. In Sri Lankan home,we have coconut scraper (aka hiramanaya). Once fresh coconut is ready,grind red chili,salt and red onions into a fine paste. Then add coconut and grind again. If you use maldive fish,add now and grid again. Finally add lemon juice and mix well in a bowl! Below is the complete recipe. Remove skin of red onions. Wash and remove the ends of dried chili. Grind red chili and red onions into a fine paste. Add salt and grind again. Then add fresh grated coconut and grind well. Finally remove the ground coconut into a bowl & add lime juice. Mix well. Adjust salt if needed. If you want this to be more flavourful ,temper mustard seeds, curry leaves and sliced onions. Then add sambola into it and prepare a fried pol sambola dish. 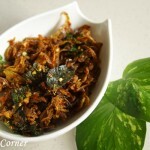 Check this recipe of fried pol sambola. You may like it too! 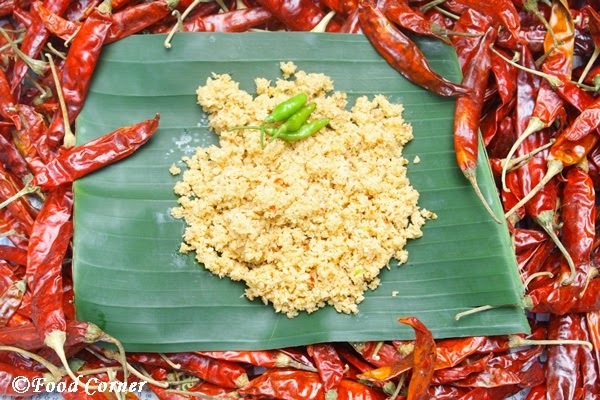 Now that,this is how we make pol sambola in our traditional Sri Lankan kitchen. How about you? I guess most of other Asian countries too use grinding stone in their kitchen. Please share your thoughts in comments. Oh yes, I eat and eat while in Sri Lanka and you know the spiciness is really killer. 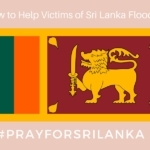 I’ve never had Sri Lankan food. It sounds very interesting! Have a terrific day! 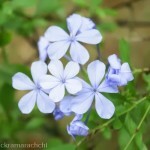 Thanks for dropping by my blog Amy! This recipe looks amazing. I love coconut. I might have to try it. Have a gray day! 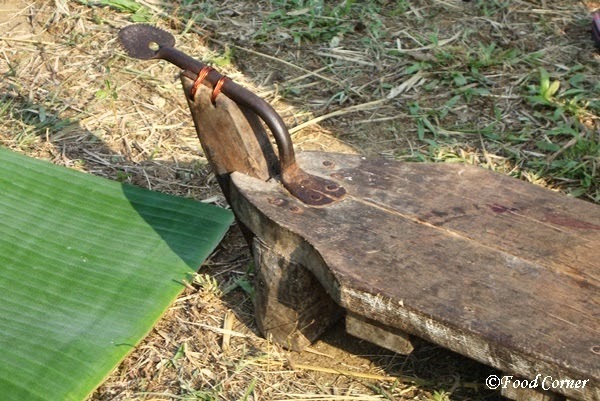 I remember using a scraper just like in the picture to scrape coconuts for my mom, when I was younger. 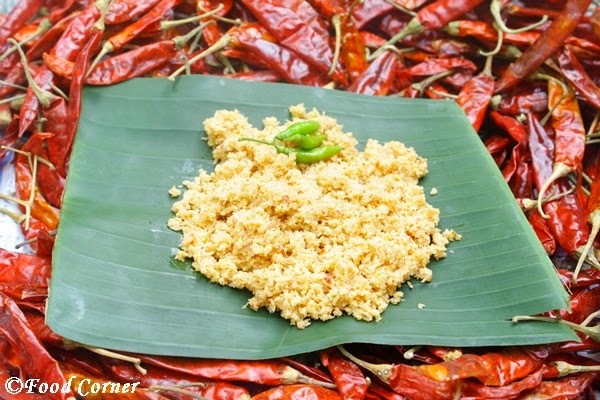 This pol sambol sounds yummy – would be awesome with some roti! 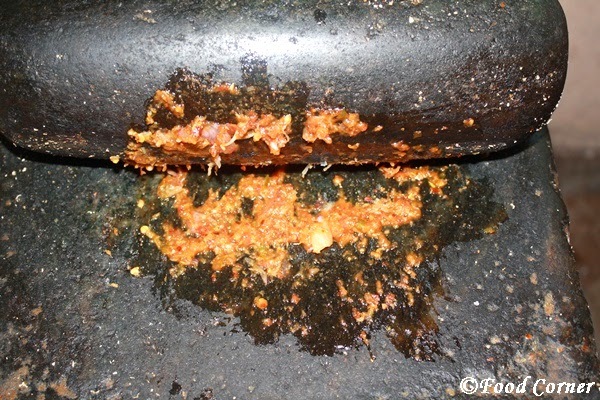 We still use this scrapper & grinding stone..this pol sambol sounds interesting…. That’s an absolutely stunning recipe. I like the traditional way its made. 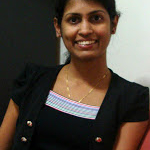 I’m from south of India and we too follow similar way of breaking coconut, grinding etc. The taste that comes in grinding on stone, this way, is so much more delicious than using electric mixie!!! I’m gonna try this out!